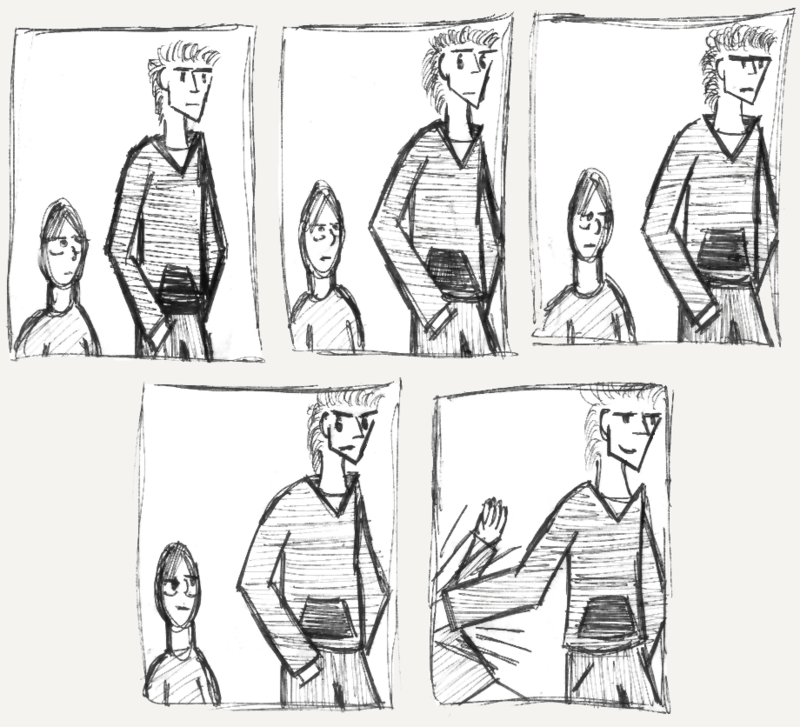 A silly little comic strip starring my former roommate Matt (the tall one) and a sullen kid. I wish my hand had copy and paste, blehh. The "Matt" design is pretty bad- this actually doesn't look anything like the real Matt, except they're both tall and skinny. And have wildish hair and hoodies. Anyhow, the joke is self-evident: Matt gets irritated by the unblinking stare up at him, so he takes matters into his own hand backhand. Not at all based on real events. Actually, why do I even call the above character Matt, he's got barely anything in common with him. Anyway, hand-drawn, layout redone in photoshop.